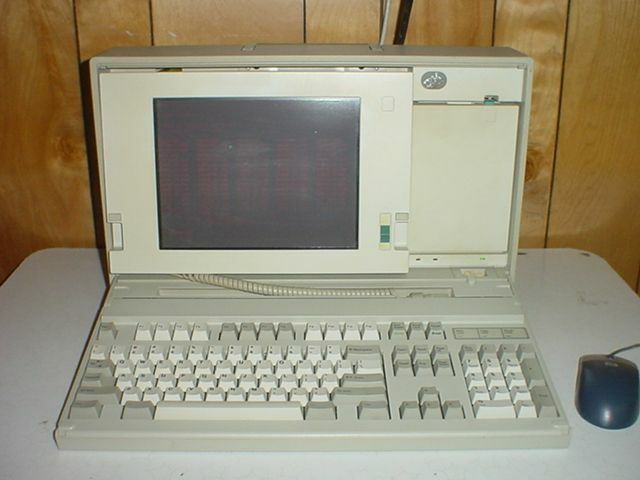 This machine is one of the two so-called "luggable" models that IBM produced as a part of the PS/2 family. In the 8573-121 configuration you got a 386DX CPU running at 20MHz paired with a 120MB hard disk. All things considered this was a high end mobile computer system in its day. It runs from AC power only and has no battery inside. Both the P70 and P75 "luggable" systems were very expensive when new. As a result, neither unit is overly common...so if you can find one, it may well be worth picking up. The display panel is a plasma type and displays everything in a brilliant orange color. 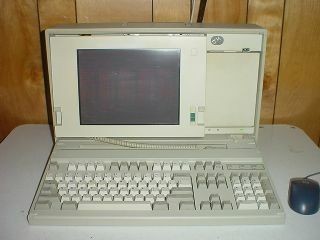 It is capable of 16 color VGA output at most. The machine's onboard graphics are also VGA and can drive an external CRT display in up to 16 colors at 640x480.